Link-up to automation The ideal partner for your automation needs, from connection to SIMATIC S7-200 to integration in TIA with SIMATIC and SIMOTION. Advantages︰ The MICROMASTER 440 has been specially designed for those applications which require broader functionality and a greater dynamic response than is usually the case. The sophisticated vector control system ensures a uniformly high drive quality, even when sudden load changes occur. Fast response inputs and positioning deceleration ramps allow movement to target positions even without an encoder. Due to an integrated brake chopper, it works with outstanding precision, even during braking and short declaration ramps. 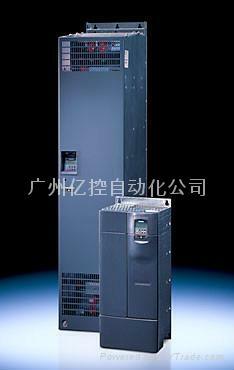 All this is possible within a power range starting at 0.12 kW (0.16 HP) and going up to 250 kW (350 HP).